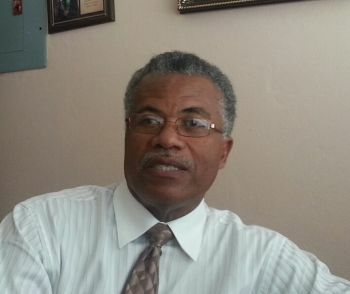 ROAD TOWN, Tortola, VI – Representative for the Ninth District, Dr The Honourable Hubert O’Neal has disclosed that he made the decision to contest the Ninth District seat way before he had any inkling that Honourable Ralph T. O’Neal OBE, to whom he had lost four consecutive elections, was not going to run. “It is really the people in my district that have kept me going…in Virgin Gorda and Anegada. 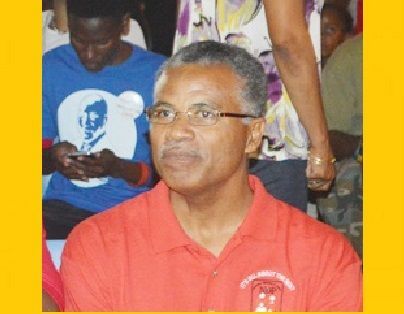 I have always had very strong support throughout the years that I have contested that seat and very close supporters of mine were just as determined that I continue to contest because they saw me as the most fit person to represent the District,” he said in an exclusive interview with Virgin Islands News Online yesterday July 28, 2015. “Actually the announcement by Honourable O’Neal came as a surprise to me. I really didn’t expect him to do that and although it was a surprise to me it didn’t faze me greatly,” he said. In a closed door meeting on May 6, 2014 at his Valley, Virgin Gorda office with his district committee many of whom have supported him for well over 30 plus years, Hon O'Neal told the gathering that he will not seek reelection after his term in office expires in 2015/16 as was reported by this news site. At the June 8, 2015 elections, Dr O’Neal steamrolled the competition to gain a seat in the House of Assembly. He noted that while he has opposed Honourable O’Neal so many times, the two – cousins by blood – are actually friends. “I respect him. He has served for a long time. He has made us proud as Virgin Islanders and I have nothing but respect for him. I saw his failing health from two elections ago and it wasn’t me alone that saw that. I think the constituents in the district saw that his health was failing. And so the handwriting was on the wall,” he said. “From two elections ago I thought he would have quitted,” said Dr O’Neal. Hon O'Neal said that the last two times he opposed Honourable O’Neal, in 2007 and 2011, they were close elections. “So you can see that the support was divided right down the middle and because of that support I had individuals in the district that just would not allow me to quit. I had thoughts of quitting,” said Dr O’Neal. “As you said, any ordinary person might have quit after the second attempt but the people really have kept me going,” he said. “It was always perplexing to me why it is certain projects were not accomplished in our district, why certain social amenities were not in place and it was always a problem in my mind why especially when we have a representative for so long, over 40 years. It isn’t that he hasn’t been in the position of authority. I mean he’s been Chief Minister, he’s been Premier, he’s held top positions and we were not seeing the progress that we expected for a long time and that kept me going,” he said. Dr O’Neal said that he was a very proud Virgin Gordian. “I have lived there all my life…I grew up there; I know everybody and I have always kept that close contact and close relationship with the people in my district and I have been vocal on many occasions on issues affecting the people in the district. I have even championed some labour issues at Little Dix Bay. I have done all these things behind the scenes for a long time,” he said. Dr O’Neal added that he also kept on contesting elections because there was a need for leadership in the district. “There was a definite leadership need and I saw myself as someone who can accomplish things and now that I have been given the chance to represent the district I am going to show not just the people in my district not just Virgin Gorda and Anegada but the whole BVI the real potential of my district and what it can do for the economy of our Virgin Islands. The potential is vastly untapped and I have a vision 20, 30 or 40 years down the road of what the Virgin Islands would look like,” he said. “I know my abilities, I am a very confident person and just like how I remain determined to become a legislator I am going to have the same determination in representing my district and representing the Virgin Islands. It is that deep national pride that I have for my country which has kept me going,” Dr O'Neal passionately shared. OK Now is your time, You sound as if you were defeated at the polls. Be the leader that you think the people needed and stop looking back at what would or should have been. this man aint making no sense...wha he holding on to Ralph issues for? He is the representative wha he dont tell the people what he plan to do for them buddy...It seems like for the next four years we goin hear how long he waited to be in HOA. VINO it is time to put this topic to rest. We have had enough and we are moving on, please give us peace. uhmmmm YOU choose to click on the story and read it. Just how you have the right to do so, others have the right to read whatever they want...including this story. And comment as well. VINO doesn't write for YOU alone. We have enough of politics get on severing the people who put you in there the people do not want to hear this crop . I agree, elections are over and it is time for Dr. O'Neal to get working for the people. Even Hon. M. Walwyn has been holding office hours on Virgin Gorda since the election and our representative has not kept any as yet. Also, he needs to get off of that Gun Creek Development nonsense and find out what the needs are in the various communities. I am willing to support him because he deserves a fair chance to represent us and NOT the interests of those rich folks that his party has been working for. I would have preferred to hear of the projects he is working on now. Action speaks much louder than retrospection. Now that the Honorable O'Neal has been elected, it would be best if he started acting in the bests interests of the people of the District. Please get on with your job and lead us by example not words. Hubert, face facts you won. Now lead. no need to reminisce about your past losses. Look forward, and lead your district. Remember Actions speak louder than words. Helloooo that mek sense?